Days after a New Zealand politician justified a feral knife culture in NZ schools by saying ‘ boys will be boys’ a priest has been stabbed in a hospital chapel. “A manhunt is on for an attacker who allegedly stabbed a priest at Taranaki Base Hospital. Police say a large number of police are at the hospital looking for the man. He allegedly stabbed the chaplain in the arm at the hospital’s chapel on Thursday at about 8.45am. The man is described as a Caucasian in his 20s, 177cm tall and wearing a black hoodie, black pants with white stripes and black fingerless gloves. He has short hair and a (sun or star) tattoo near his left eye, said Sergeant Bruce Irvine. 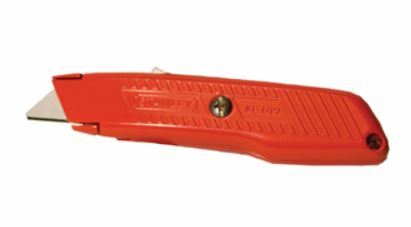 “He should not be approached as it’s believed he has an orange Stanley knife,” Sergeant Irvine told Fairfax Media. The priest was taken to the emergency department and treated for his physical injuries, our thoughts are with him and we wish him a full recovery. Meanwhile, police are still hunting for his attacker. Still think that New Zealand is a safe country with low crime rates? “There’s been a second stabbing at an educational establishment in New Zealand today. The first was was at Pacific Christian School where a 10 year old was stabbed in the head (more details here), the second was stabbed during an inter-school brawl outside the gates of Southern Cross Campus, just as school closed for the day. “There’s been another stabbing in a New Zealand school, this time at the Pacific Christian school on Coronation Rd in Mangere, South Auckland. The school is a private, co-educational establishment. In 2011, a national operating strategy was implemented in the department known as Prevention First. It aims to drive reported crime down 13 per cent by 2014/2015. ← Migrants Tales – The educational system in New Zealand treats all teachers horribly. NZ degrees worthless? Omg this pisses me off no end. I thought the exact same thing, “boys will be boys” is the most stupid non-argument ever, and it is damaging to men as well.